NASHVILLE — Southern Baptists will ponder a number of items for discussion at its annual meeting on June 10-11 in Baltimore, including decreasing membership, how to handle congregations that accept homosexuality and the push for transgender accommodation. A recent report released by LifeWay Christian Resources, an arm of the Southern Baptist Convention, notes that Southern Baptist membership declined for the seventh year in 2013, down to 15.7 million from 15.9 million the year prior. Weekly attendance also decreased more than two percent, while the number of congregations increased to 46,125. “I am grieved we are clearly losing our evangelistic effectiveness,” stated LifeWay President and CEO Thom S. Rainer in a news release announcing the annual report results. 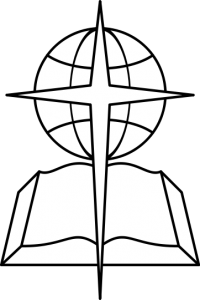 In the meantime, the Southern Baptist Convention may also consider what to do about congregations that decided to support homosexuality, contrary to the Convention’s biblical beliefs. As previously reported, New Heart Community Church in La Mirada, California recently announced that its leaders had agreed to keep their current “pastor” after he came out in support of homosexual behavior. The congregation was also to be re-categorized as “Third Way,” meaning that it would be more open on the issue of homosexuality and identified as neither liberal or conservative. But Dr. Albert Mohler Jr., president of The Southern Baptist Theological Seminary, wrote in a blog post about the matter that there is no such thing as a third way. While the Convention ponders what to do regarding congregations that abandon biblical beliefs about sexuality, a Christian college professor and ethicist are requesting that the denomination also officially announce its opposition to “normalize” transgenderism. Denny Burke of Boyce College and Andrew Walker, who serves as the director of policy studies for the Convention’s Ethics Religious Liberty Commission, have asked the Resolutions Committee to take a stand on the topic, which is now becoming a major issue in society. Fred Luter, the outgoing president of the Southern Baptist Convention, said that amid all of the issues that Southern Baptists must ponder, the overarching answer to the nation’s problems is to preach the gospel. “We have just not been very active in doing what we can to reach the lost and the unchurched in our nation,” he admitted to Religion News Service. Ronnie Floyd, who is a possible candidate to take over for Luter, agreed. “We need to return to a commitment of personal evangelism,” he said.